Kids in marriage used to be the norm. But, in 2018, the number of married couples in the U.S. who have children under eighteen hit a 56 year low, according to the US Census Bureau. While there are many factors contributing to this decline, one thing is sure. More couples are consciously deciding not to have children. Additionally, married couples have reported that having children have negatively affected their marriage. For around 30 years, researchers have studied how having children affects a marriage, and the results are conclusive: the relationship between spouses suffers once kids come along. 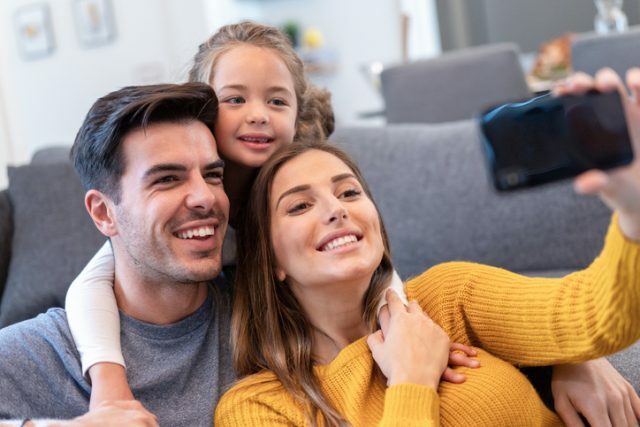 Comparing couples with and without children, researchers found that the rate of the decline in relationship satisfaction is nearly twice as steep for couples who have children than for childless couples. But what does this signify for married couples? Are their marriages doomed? Of course not! Let’s discuss some ways of surviving and thriving with kids in marriage. This speaks specifically about physical appearances. I would never advocate that a woman’s physical appearance is her sum total. But it would be ignorant to believe that a wife’s looks aren’t important to her husband/partner. Having said that, despite the exhaustion with dealing with the kids, it’s important to make an effort to look good for your spouse. It can be as simple as shower and clean clothes. Or washing your hair and some lip gloss. Effort matters and will be appreciated. Every marriage is unique and different. You have to decide what works best for both of you. Have a discussion about expectations regarding duties around the house, especially after a child enters the picture. It is unrealistic to expect one party to shoulder the majority share of responsibility of caring for a child, then complain or feel neglected when said partner has no time and energy to devote to you. Your spouse is special but not super human. One of the biggest culprits of failing marriages with children is that the kids aren’t taught boundaries. The kids are often raised to believe that they are the priority, and everything comes after them. This is so wrong. We must teach our kids to respect our marriages and understand that it is equally important. That includes removing them from the marital bed, teaching them to knock at a closed door, correct them when they interrupt a conversation between you and your spouse. These simple tidbits will help your children understand that you value your union and it should be respected. When making plans for the family, planning for the couple is equally as important, not a last resort. Make deliberate efforts to spend time with your spouse and include it in the family calendar. In our house, that evening is called “adult entertainment”. Our kids knew from as young as five and one year old that on the nights labelled “adult entertainment”, they went to bed early and mommy and daddy spent time alone together without them. It doesn’t have to be an external romantic date, or an exotic weekend getaway, although that would be nice. But making a conscious decision to prioritize the marriage is crucial. Having children to many is a natural progression in marriage. If that is the case, it makes sense to figure out how to make the best of your new reality. This will ensure that your marriage not only survives, but thrives.